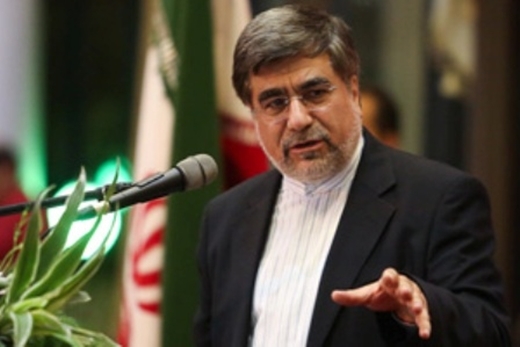 The Iranian culture chief calls for collective efforts to protect cultural heritage and archeological works of the region from Takfiri terrorists. Visiting Minister of Culture and Islamic Guidance Ali Jannati on Tuesday called on regional states to make collective efforts to protect cultural heritage and archeological works of the region from Takfiri terrorists. Jannati made the remark at a press conference in Beirut after paying a visit to Lebanon’s National Museum along with his Lebanese counterpart Raymond Araiji. Regional governments have to work with international bodies such as UNESCO to protect the cultural heritage of the region, Jannati stressed. He regretted that extremist groups like ISIL destroy the invaluable cultural and historical heritage in Iraq and Syria. For his part, the Lebanese minister of culture said that terrorist crimes of Takfiri groups against the history and civilization of Iraq are crimes against humanity. Araiji urged international organizations, UNESCO in particular, to take necessary measures to protect the archeological works of the region.